The Florida State University (FSU) College of Medicine and Sarasota Memorial Health Care System (SMH) received the news on April 12 that the Accreditation Council for Graduate Medical Education (ACGME) approved their Internal Medicine Residency Program. “The initial accreditation clears the way for SMH and FSU to begin reaching out to graduating medical students interested in enrolling in the program in the summer of 2017,” a news release says. After the Sarasota program has been operational for two years, ACGME surveyors will conduct a second site visit to validate that it is meeting the standards of ACGME, the sanctioning body of graduate medical education in the U.S. and Canada, the release explains. 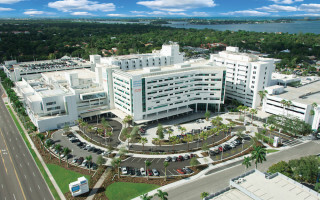 The Sarasota residency program is the first approved by ACGME between St. Petersburg and Fort Myers along Florida’s West Coast, the release points out. When it reaches full capacity in its third year, the program will have 39 residents enrolled; by 2020, it will begin producing 13 new internal medicine physicians each year, the release says. “Developed to help combat a growing shortage of primary care physicians, the residency program is an important move for the region,” said Dr. John P. Fogarty, dean of the FSU College of Medicine, in the release. The Sarasota area grew by 25,000 people between 2010 and 2015 and is home to more than 125,000 residents ages 65 and older, according to the U.S. Census Bureau, the release points out. “During their three years of training, residents rotate through all of the disciplines in internal medicine under the supervision of FSU and Sarasota Memorial’s highly qualified, board certified physicians and medical educators,” the release explains. As part of the program, Sarasota Memorial plans to open an adult internal medicine practice in Newtown that will serve as a base for resident physicians’ outpatient training, the release notes. “The facility will allow the residents to gain experience in chronic disease management and preventive health, while providing continuity of care to a vulnerable and underserved population,” the release adds. “People visiting the clinic would be cared for by resident physicians and Sarasota Memorial faculty physicians co-managing and supervising each patient’s care for the duration of each resident’s three-year training program,” the release adds. The team will care for the uninsured and underinsured, including Medicaid and Medicare patients, at a low or no cost, depending on an individual’s ability to pay, the release notes.